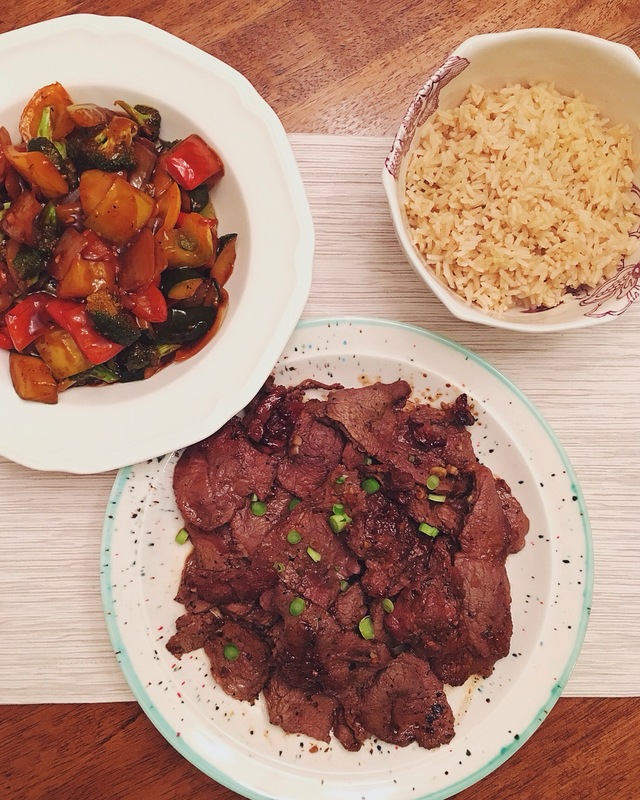 Here’s one of my favorite Asian meat dishes to make that was introduced to me by my sweet friend Lisa. She made it for Eric and I once and I have made it at least a dozen times since. I couldn’t believe how simple it is to make because it has so much flavor. 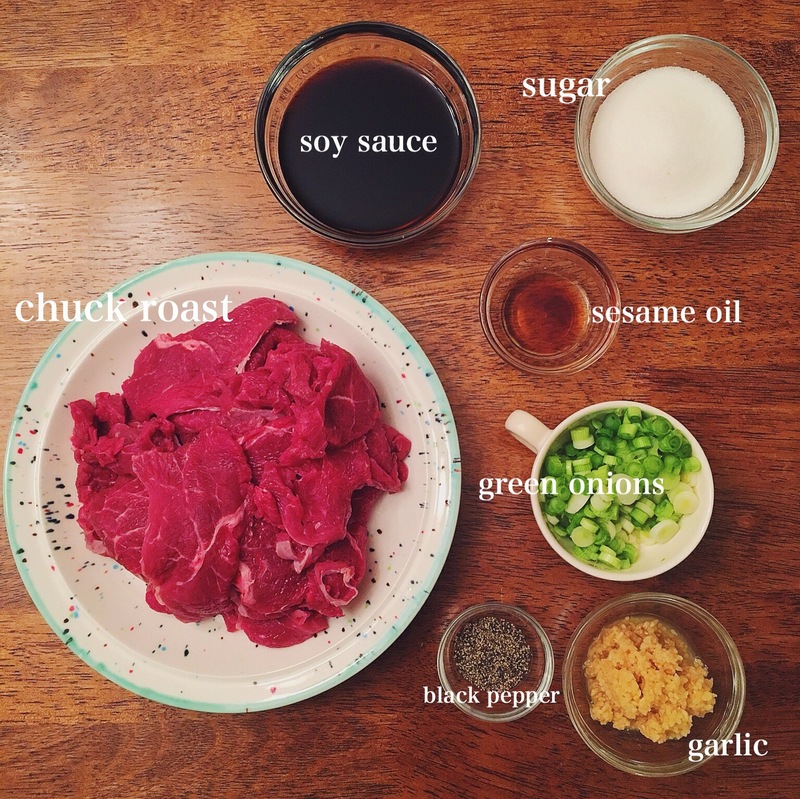 If you like grilled beef, teriyaki beef or want to mix it up with an Asian night, this will be your new go-to recipe. One important tip for this recipe is letting the meat marinate overnight. Allowing time to marinate creates the most flavorful meat, it is worth the wait! 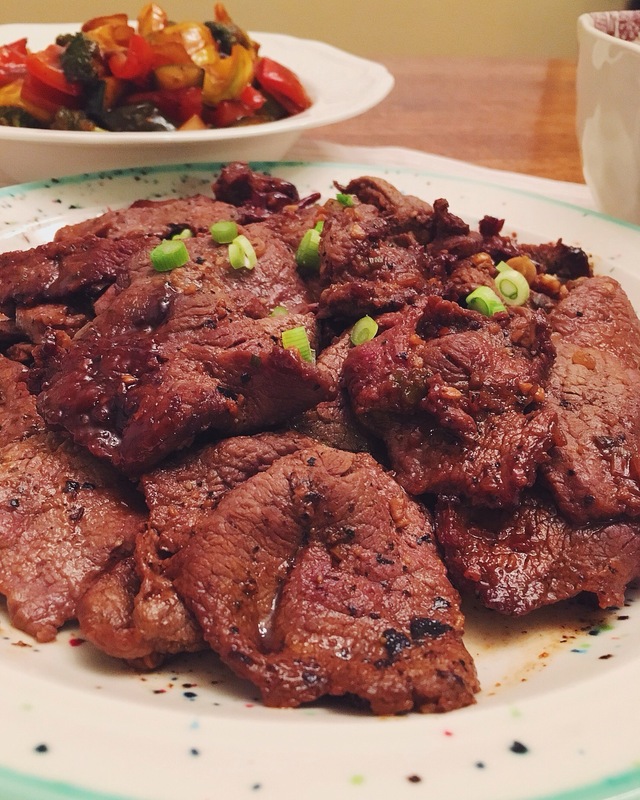 I have made it after letting it marinate for about 6 hours and it still turned out great, but be sure to plan accordingly to allow for the flavors to really sink in for the best results. When I asked Lisa what cut of meat she uses she recommended buying a chuck roast and having your butcher slice it very thin. Sometimes I have the butcher do it for me, and sometimes, like this time, I slice it myself. 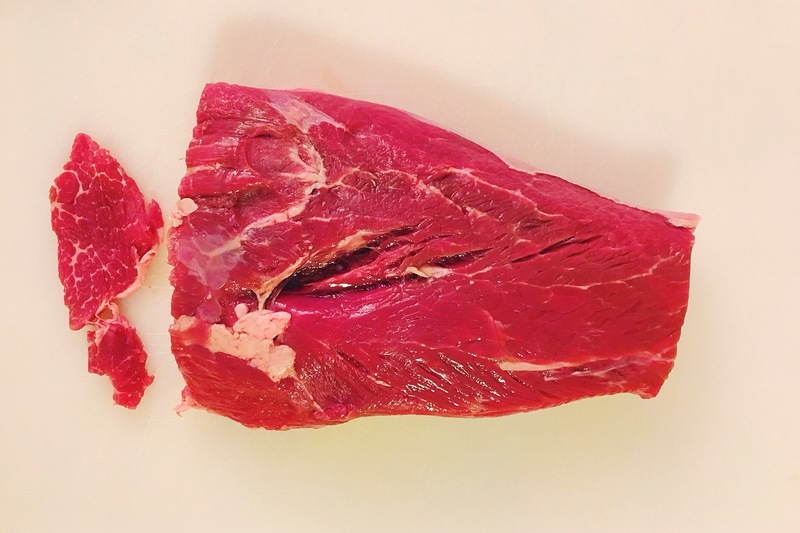 If you plan on cutting the meat yourself, I recommend using a very sharp chef’s knife and make sure to slice against the grain. This cut of beef is perfectly tender for this recipe and makes a lot! The meat goes in an airtight container in the fridge overnight, then gets cooked up either on the bbq or non-stick skillet over medium high heat. The quick cook time over high heat leaves the meat tender with some caramelized edges. 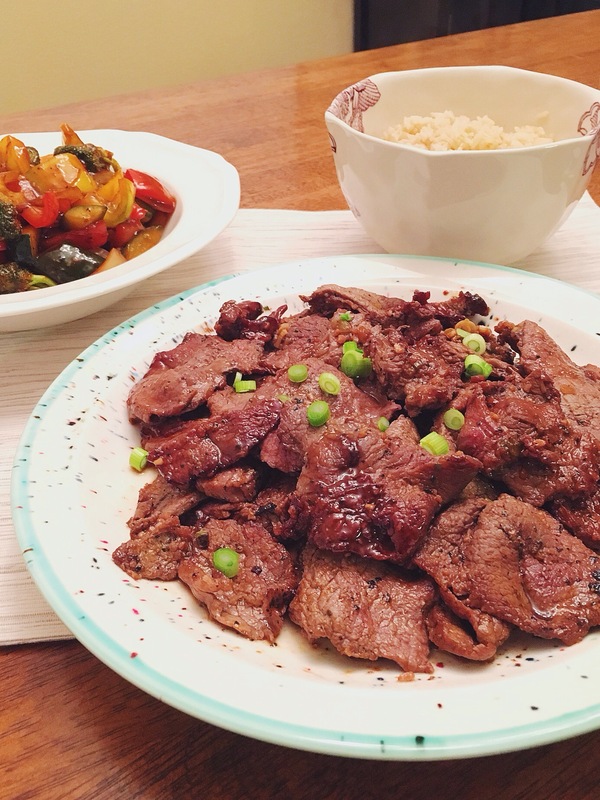 The bulgogi beef goes great with rice, stir fried vegetables, and a large helping of kimchi. I usually make some black bean asparagus to go alongside; I will have to share that family recipe soon. 🙂 Here I made it with Pioneer Woman’s Veggie Stir-Fry recipe, it has restaurant style flavor with a good kick from the Sriracha. 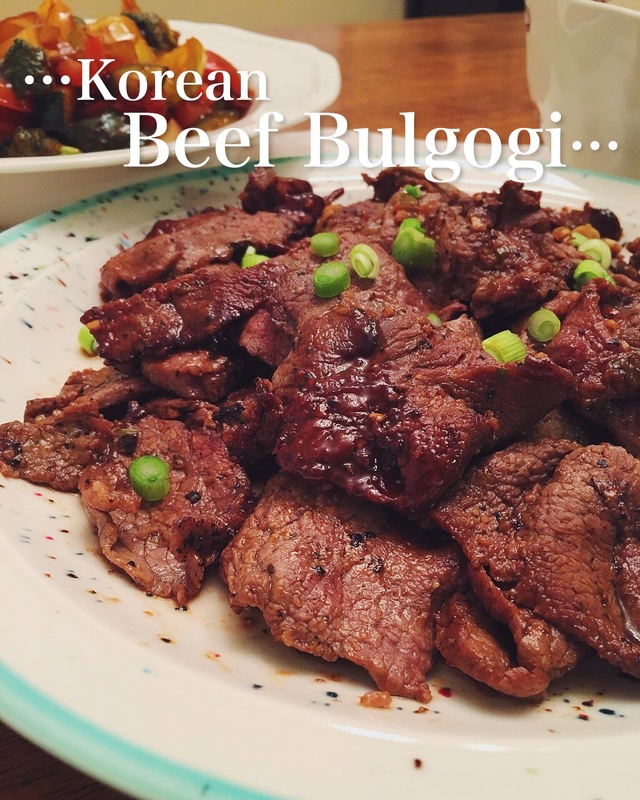 If you like Asian food you will love this beef bulgogi recipe! If you give it a try, let me know what you think in the comments. Place the sliced meant into a gallon size plastic bag or airtight container, set aside. In a small bowl combine the marinade ingredients, and stir to combine. Pour the marinade over the meat and mix the meat around to make sure all of the slices soak in the marinade. Marinate overnight in the refrigerator, or at least 4 hours. Pull the meat out 15 minutes before cooking to remove the chill. Heat a large cast iron skillet to medium-high heat, add cooking oil. Place a few slices of beef, in one layer across the pan, be sure to not crowd the pan. You’ll cook each slice for 1-2 minutes per side, or just until the pink has disappeared. Remove immediately and place in a foil covered dish to keep warm. Continue the same process until all of the meat is cooked. 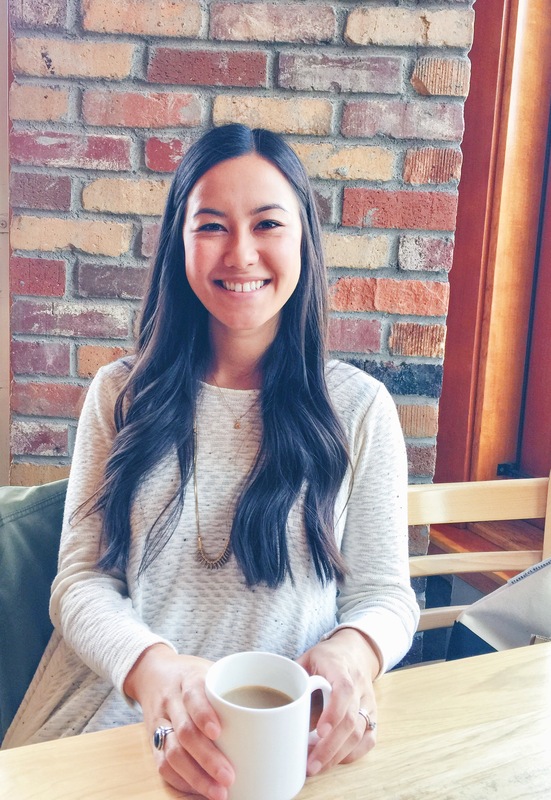 Garnish with sliced green onions and serve with steamed rice, stir fry, kimchi or your favorite Asian side dishes. 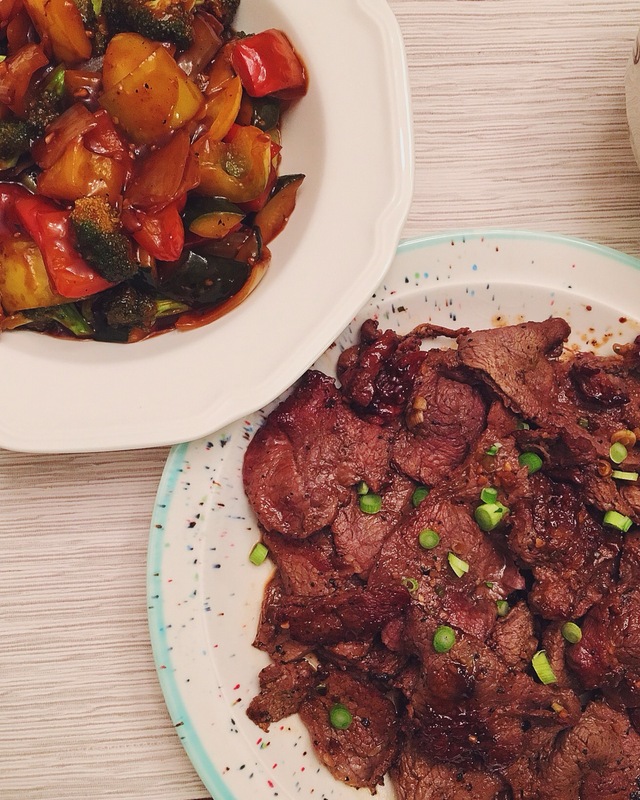 The longer the meat marinates the more flavor the meat will have. I usually marinate the meat the night before for best results. The beef can also be grilled using the same heat and timing specifications. Thank you!! That makes me so happy to hear, she def would 🙂 All thanks to you! This looks amaze! My mom would be so proud!